Today’s entry is going to be a fairy-tale-ish one. Let me tell you a story of the most desired, groundbreaking beauty cosmetic which, undoubtedly, doesn’t only define the woman’s beauty but also satisfies vanity. I’ll never forget the moment when I applied a mascara for the first time. I felt ‘the power’. Basically, it wasn’t about feeling it per se but rather believing that I really had the power! Since that very moment, I’ve been choosing a mascara very thoroughly and with care. It turns out that mascara’s history is an interesting and long one, it reaches the ancient times. Powdered charcoal mixed with water ruled on woman eyelashes for many centuries. These two ingredients also served Eugene Rimmel to create the first, official mascara. The original version of a mascara was pressed (I can compare it to eye-shadows, for example) and featured a tiny brush. 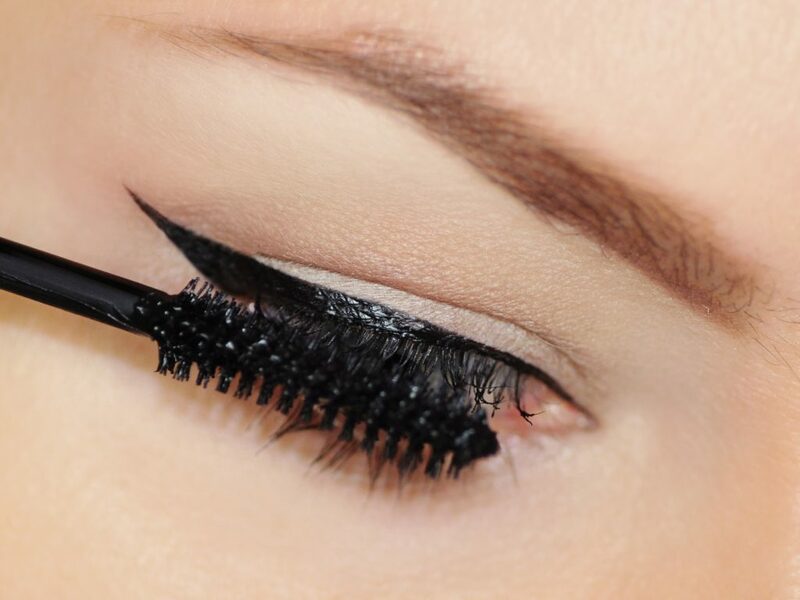 In order to coat eyelashes with the mascara, you had to mix it with water. It is said that some women didn’t have time to ‘play’ with this groundbreaking invention of Rimmel’s and simply mixed the mascara with their salvia. Also, Maybelline, which had been long recognized, wasn’t left behind. The cosmetic brand created a similar product more or less at the same time as Rimmel did. J.T. Williams knowing that his sister Maybel was into somebody, an unrequited love thing, he wanted to ease her distress and created a mixture of charcoal and petroleum jelly. He asked his sister to apply the mixture to the eyelashes. Maybel also felt the power and made the young guy fell in love with her. Soon Williams created a cosmetic company the firm of which was the blending of two words: Mabel and Vaseline. Since both Rimmel and Maybelline were launching pressed version of their mascaras, another breakthrough has to be imputed to Helena Rubinstein who in 1957 closed a mascara in a small tube that featured a brush. No more spitting to a mascara 😉 Moreover, Revlon also contributed to the breakthrough in the approach to mascara as the brand started launching color mascaras in the ’60s. In the era of flower people such a product won hearts of the women fast. On the other hand, mascara has also its dark side. In the ’30s in the United States there was a gossip spread that women happened to get blind after using Lash Lure mascara. There was also a fatal case reported. Fortunately, the product was recalled fast and hasn’t ever been introduced to the market again. At the end of this story I’m going to shock you with the information that each woman uses more or less 260 tubes of mascara throughout her entire life. Dark circles around eyes? I got rid of them long time ago!